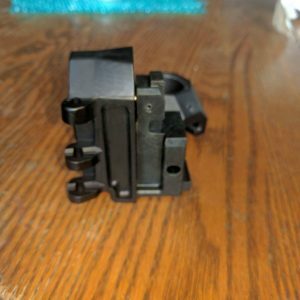 This is our black Raptor Rail plus the RH bolt release. 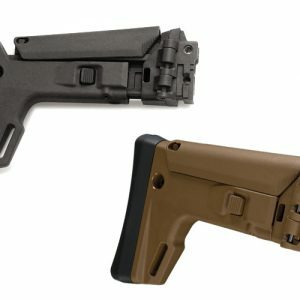 This is for RIGHT handed shooters, and will mount on the left side of the rifle, so when you insert a new magazine with your left hand, that same hand slides up slightly, taps our bolt release, and easily releases the bolt back into battery. Please note, the handguards will arrive Fri 1/15 but the bolt releases will not be here until Feb 1st. They will ship together, so if you order now there will be an approximate 2 week delay.